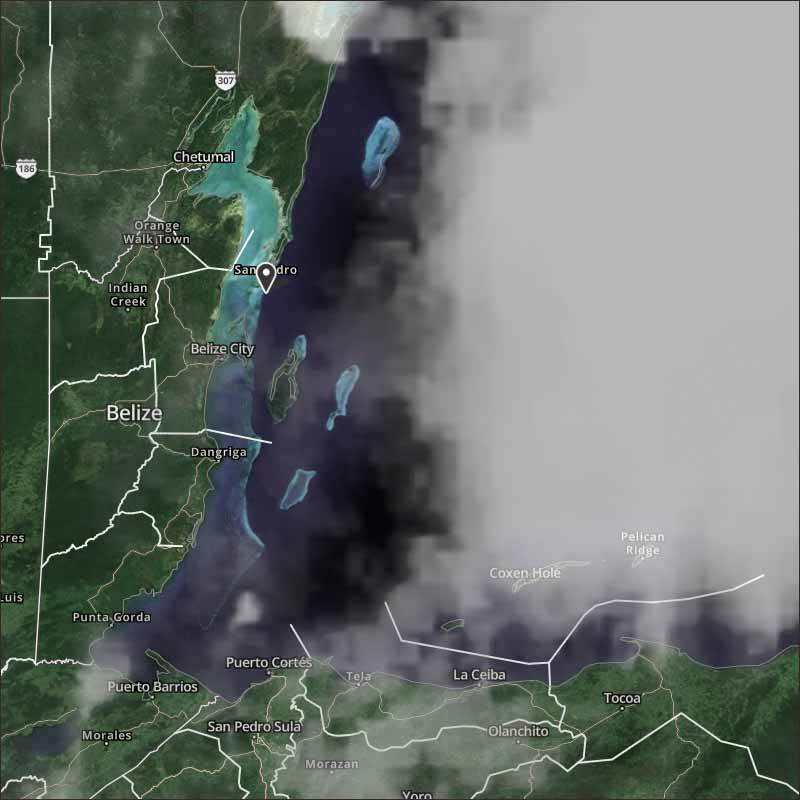 Belize NMS: Somewhat moist and slightly unstable conditions prevail. 24-hour forecast: Sunny with cloudy spells today along with a few showers and isolated thunderstorms over northern and inland areas after mid-morning, decreasing this evening. Cloudy at times tonight with a few showers or thunderstorms mainly over southern districts. General Outlook: (Sun & Sun night) Generally fair with only isolated showers or thunderstorms Sunday, then a few showers or thunderstorms affect the south Sunday night. Daily Tropical Weather Outlook: At 3:00 am Hurricane Irma was centered near 19.0N 41.8W or about 1320 miles East of the Leeward Islands. Irma was moving to the West at 14 mph with maximum sustained winds of 110 mph. Today E-SE 5-15 kts Choppy 3-4 ft ISOLATED SHOWERS OR THUNDERSTORMS. Tonight E 10-20 kts Choppy-Moderate 3-5 ft A FEW SHOWERS OR THUNDERSTORMS MAINLY SOUTH LATE. Outlook E 5-15 kts Choppy 3-4 ft A FEW SHOWERS AND ISOLATED THUNDERSTORMS SOUTH. There is a lot of ITCZ activity all around us at present, caused some night rain and still some in parts of central and souther Belize. There could be more patches of rain. H IRMA is still a long way away and increasing indications that it might brush just north of the Caribbean. Looks like today will be a mixture of sun, cloud and patches of rain.